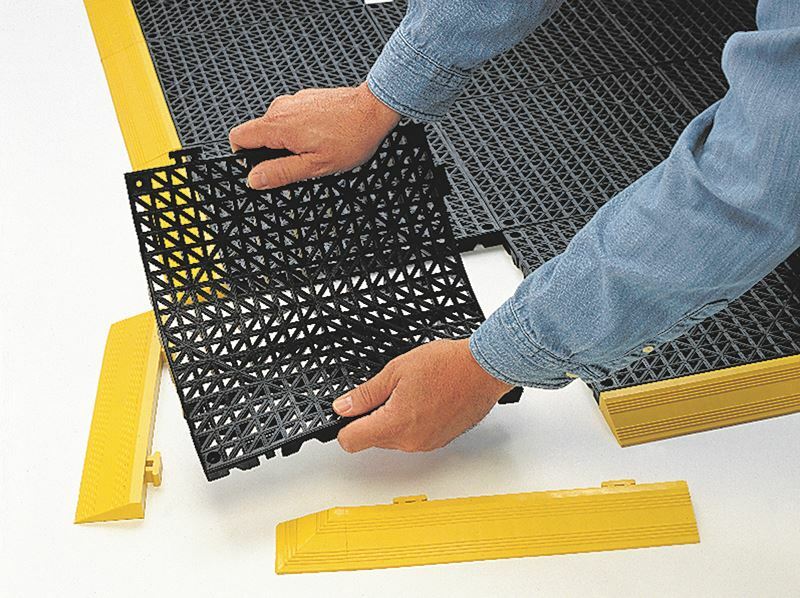 Recycled interlocking 12” x 12” tile is an excellent floor covering product and is ideal for compartment matting to protect drawers, trucks, and tools. Recycled interlocking 12” x 12” Colore tile is an excellent floor covering product and is ideal for compartment matting to protect drawers, trucks, and tools. Aggressive grit surface prevents slips and fall in wet appliations.